Office Update help to create healthier workplaces encouraging improved performance and productivity. 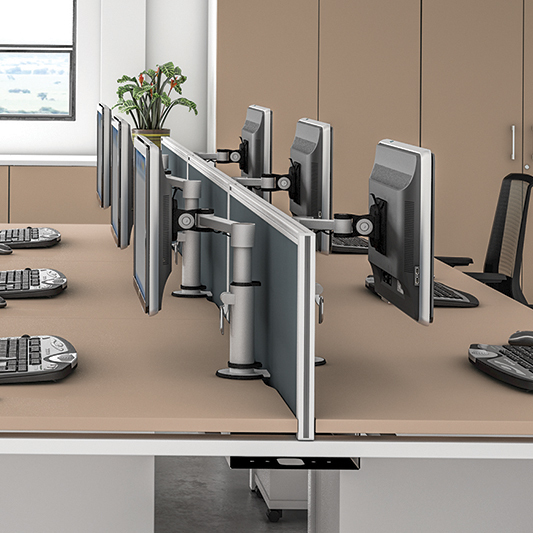 Simple fabric screens divide workstations giving privacy where required. Desk high screens with or without toolbars, free standing screens and stand alone work pods are all available in your corporate colour scheme. A comprehensive range of desktop and under desk power modules, space saving monitor arms, cable management solutions and CPU holders allow easy access to your devices when you’re working. We specialise in full project IT under floor power solutions, grommets, tap offs, busbars and accessories.